a Psychotherapist, a holder of the European Certificate of Psychotherapy, ECP and a member of the European Association for Psychotherapy, EAP. I have completed an English 4 years MSc level training as an Integrative Psychotherapist. I offer psychotherapy for individual adults from an Integrative Humanistic perspective with emphasis on Emotion Focused Therapy (developed from Gestalt and Person Centered Therapy) and Internal Family System Therapy, both evidence based approaches. I also use EMDR when appropriate. I have myself gone through extensive psychotherapy and seek regular supervision and continuing education, all important parts of quality control in my profession. I have practiced privately since 2014, at Psychology Practice Þórunnartúni 6 Reykjavík. I volunteered for Drekaslóð in 2013-2015, a centre for survivors of violence and supervised staff at Landspitali University hospital in 2016. I support international delegates of the Icelandic Red Cross and receive referrals from City Social Services. My program was post graduate on MSc level and consisted of a theoretical part, my personal weekly psychotherapy, clinical practice work and supervision. It was an English program run by The European Center for Psychotherapeutic Studies (EUROCPS) (Ken Evans and Joanna Hewitt-Evans) with a study center in Jersey. The training is certified by ECP and grants membership to UKCP and the main European professional association, EAP, a founding member of the World Council for Psychotherapy, WCP. There was a focus on working with relational trauma such as neglect, abuse and unmet attachment needs rooted in childhood, self-awareness, emotions, dialogue, the therapeutic relationship and therapist´s self-development. # Level I and II. Jeanne Watson, Robert Elliott (Netherlands). 2015-2016, 10 days. # Enhancing Empathic Attunement. Jeanne Watson (Netherlands). 2015, 3 days. # Therapeutic Presence; a Mindful Appr. to Effective Therapy. Shari Geller Netherlands), 2018, 2 days. # Complex Trauma/Attachment Trauma. Emotion Focused Therapy for Complex Trauma. Antonio Pascual-Leone (Hollandi). 2016, 2 days. # For Couples. (EFT Externship). Scott Woolley (Johnson) (England). 2017, 4 days. # For Couples (Introduction). Þórdís Rúnarsdóttir (Iceland). 2015, 1,5 days. Trauma Therapy Internal Family System Therapy. Working with parts. # Level I. The Center for Self Leadership. 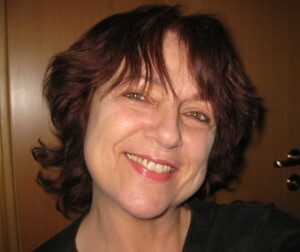 Susan McConnell (Portugal). 2019, 12 days. # Level I and II: EMDR Institute. Roger Solomon (Iceland). 2015, 6 d+sup. # Complex Trauma. Gyða Eyjólfsdóttir and Margrét Blöndal (Iceland). 2016, 1 d.
# Complex Trauma; dissociation, parts. Art of EMDR: EMDR Institute. Roger Solomon (Iceland). 2017, 4 days. # Complex Trauma. Roger Solomon (Iceland). 2018, 1 day. # Somatic Trauma Therapy (I, II, III). Babette Rothschild (Ireland). 2014 and 2015, 12 days. # Clinical Hypnotherapy (I). Iceland School of Hypnosis. Jón Víðir Jakobsson and Arnþór Arnþórsson (Iceland). 2018, 10 days. # Insomnia without medicaments. Erla Björnsdóttir (Iceland). 2018, 1/2 day. # Cognitive Behavioral Therapy for adult anxiety. Gunnhildur Sveinsdóttir and Sigurbjörg J. Ludvigsdóttir (Iceland). 2016, 1 day. # Conference, presentation: “Integrative Health Care”, What is Integrative Psychotherapy? Reykjavík 2018. # Conference, participation: Trauma Summit 18. Ireland, 2018 2 day. # Monthly Professional Supervision by Páll Einarsson, Integrative Psychotherapist MSc, Iceland. # Monthly Peer Supervision with Margrét Gunnarsdóttir, Integrative Psychotherapist MSc and Physiotherapist, Iceland. I am a nurse RN BSc (1985) MSc (2004). 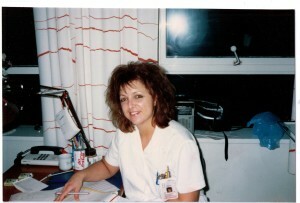 I have worked at Landspitali, University hospital Reykjavik as a Clinical Nurse, deputy Nurse Manager and a Trainer in the Surgical division. I have worked as a Project Manager in Human Resources and Ac adem ic and Training Divisions with a particular focus on new recruits, foreign employees and culturally competent care. I have been a Lecturer and BSc/MSc Supervisor at the University of Iceland, Akureyri University Iceland and a Tutor in MSc studies at the Royal College of Nursing London. 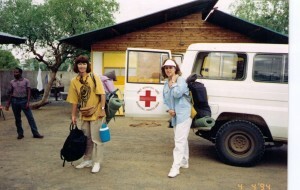 I have worked with the International Red Cross Movement (ICRC / Icelandic Red Cross) in grassroot, clinical and management roles in 9 countries in war and natural disaster zones in Africa, Asia and Europe and worked and studied in several other countries as well. MSc (Nursing) Dissertation: Phenomenological study. Reviewed article: Phenomenology study and interview.